Versa Fittings Inc., is a manufacturer of industrial quality standard and customized fittings, as well as valves, clamps, tubing and hose. Servicing many industries including truck and trailer, plumbing, gas, hydraulic, control, and automotive markets. In their warehouses, they carry a large selection of low-pressure fittings in almost every material. Versa Fittings is very good at what they do. They are considered one of the very best fittings distributors and manufacturers in Canada. But when you focus on making a great product, it’s hard to focus on other areas of the business too. 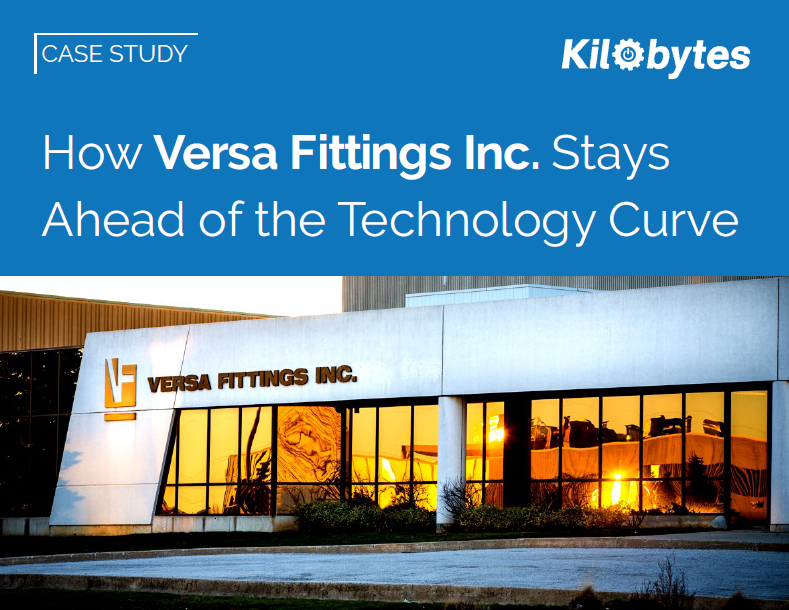 And that’s why they decided to partner with Kilobytes to support their IT infrastructure. Download the case study to read the full story!